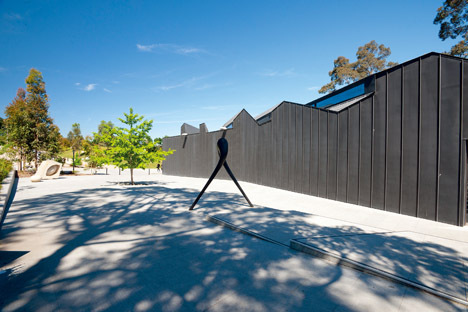 Translation: Yuki Nakagawa, Heide is infamous for its first residential artists also known as the Heide Circle, home to some of Australia’s best modernist painters such as Sidney Nolan or Albert Tucker. Now hosting exhibitions of Australian artists with accompanying international works, Heide is a source of photography, art, sculptural and installation pieces to your influence and interpretation. The landscape and scenery of surrounding vast greenery is beautifully suited amongst the Australian modernist architecture of each Heide building. Past exhibitions include Melbourne photographer Carol Jerrems’ Up Close accompanied by Larry Clarke and Nan Goldin photographs, and Melbourne-based artist Dylan Martorell just to name a few. A quick road trip or bicycle ride over to Heide. Have a picnic on the lawn next to an Anish Kapoor scultpure, or a delicious macaroon or “Lunch Box” from Shannon Bennett’s Cafe Vue, two delightful permanent fixtures at Heide.